YO-KAI WATCH 3, a new mainline game in the series, the robust game is loaded with content and features, including new locales, characters and a new battle system. Thankfully, it’s doing so with the best version the franchise has offered yet in Yo-Kai Watch 3, throwing in every extra monster and mode into the one portable package. 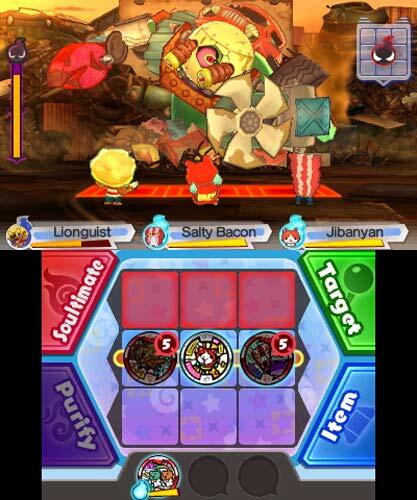 With a more nuanced battle system, larger sandboxes to explore, even more Yo-Kai to battle and add to your Medallium, this two-and-a-half-year-old game is a fresh as the day it first launched in Japan, and has given western 3DS owners one of console's best RPGs in the twilight of its years. There's not much to Yo-kai Watch 3, but there’s still a lot of charm to be found. The towns of Springdale and BBQ are both bright, pleasant places to be; the people in it are even more so. Visiting the world of Yo-kai Watch for the third time is a fun time, even though you’ll end up staying a lot longer than perhaps necessary. Yo-kai Watch 3 is one of the better Nintendo 3DS games that Level-5 has its name on. There are plenty of improved areas here, including side activities, the battle system, and Yo-kai designs. The story really shouldn't have worked, but by pulling a ''Phoenix Wright'', they somehow found a way. Still, I think that switching between two stories isn't the best approach and the downtime with quests is somewhat damaging. Yo-Kai Watch 3 is a fantastic last hurrah for the series on the 3DS platform, which is also an ideal jumping in point for new players. Although it's very much in the vein of a Pokémon-styled adventure, it's a franchise with its own interesting quirks. The battling system, which has been much improved here, offers something different, with its fast-paced special-attack mini-games and new Tactics Medal Board. The swapping of characters could have been handled better, but then again it made us grateful for the gameplay variety we experienced as we played. It'll take hours to get through your travels in Peanustburg and Springsdale (again) and, if you do, you will always be able to have fun with the Blaster mode or in online or local battles, so there's a lot to like even if there are little niggles in there too. Sorprendente reinvención de la saga Yo-Kai Watch, con una entrega cargada de contenido, novedades y -sobre todo- cambios para bien. Tanto si os encanta la franquicia como si no la conocíais, Yo-Kai Watch 3 es un juego fantástico. Yo-Kai Watch 3 es un juego para nuevas generaciones de niños, cada poco tiempo estamos cambiando de actividad si queremos, el combate es profundo pero no especialmente difícil. La serie siempre ha sabido adaptarse a la edad del jugador, desde el niño mas pequeño que irá por los escenarios luchando contra otros yo-kai para atraparlos a quien intenta conseguir todo el medallero y aprovechar hasta la última oportunidad. Mucho contenido, artísticamente brillante e ideal para los más pequeños de la casa, pero sin aportar ningún cambio trascendente que dé motivos para calificarlo más allá de un notable. Una trilogía que termina mejor que como empezó, pero no lo hace por todo lo alto. Au delà d'un esprit enfantin toujours tourné vers la collectionnite, Yo-kai Watch 3 semble donc voué à favoriser les contacts et rapprocher les peuples, une mission résolument humaniste, étonnamment vivifiante pour ce truculent hommage cosmopolite aux fantômes folkloriques japonais. Yo-Kai Watch 3 a la bonne idée de corriger une grande partie des défauts de ses prédécesseurs, offrant d’une part un scénario plaisant et empreint de dynamisme grâce à la possibilité de switcher entre deux personnages aux fils rouges distincts, et d’autre part un système de combat légèrement repensé qui gagne en intérêt pour l’occasion. Senza sforzi titanici, puntando tutto sulla quantità di contenuti e sull’eccellente lavoro di localizzazione e confezionamento, Level 5 e Nintendo propongono ai fan della serie il miglior episodio che abbia toccato i lidi occidentali, forti di una struttura di gioco invecchiata bene nell’ultimo lustro. 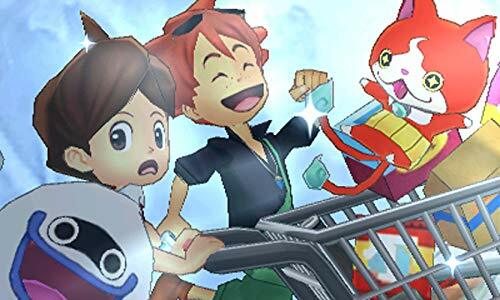 Yo-Kai Watch 3 è il capitolo conclusivo di una trilogia esclusiva nata e cresciuta su Nintendo 3DS, per noi occidentali probabilmente il canto del cigno dell'intera console. 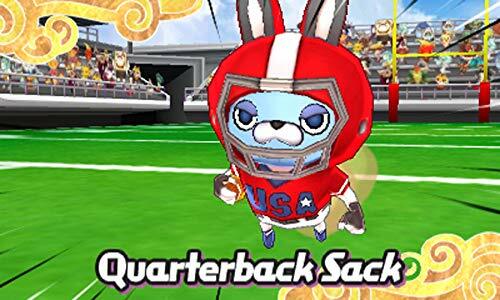 È il capitolo perfetto per i nuovi arrivati, e naturalmente anche imperdibile per tutti quelli che hanno supportato gli spiritelli nipponici sin dal loro primo arrivo sul mercato: un franchise molto particolare che deve tanto ai Pokémon, ma che non ha paura di puntare ancora oltre, e soprattutto dritto sulla sua originalissima strada. Non ci si annoia mai, anche se la mancanza di obiettivi secondari (da non confondere con i minigiochi e altre attività) in favore di una progressione lineare della storia - in particolare con Hailey e la sua agenzia investigativa - si fa un po' sentire. 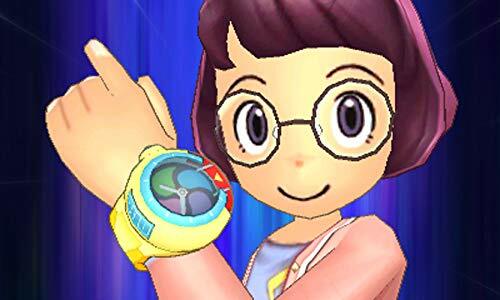 Nell'attesa del quarto capitolo previsto per Nintendo Switch e in arrivo almeno in Giappone, la localizzazione occidentale è sempre un'incognita, questo è sicuramente il miglior Yo-Kai Watch che potreste giocare. Yo-Kai Watch 3 is een stap in de goede richting voor de serie. Toch maakt het spel nog een aantal kritieke fouten die de gameplay zoveel minder leuk maken dan dat hij eigenlijk had kunnen zijn. Dankzij de bizar lange afstanden die je moet afleggen en het feit dat de game je constant aan de hand neemt, zorgt ervoor dat het soms een passieve ervaring is. Maar als Yo Kai Watch al je aandacht had getrokken, dan doet het derde deel van de serie dat ook wel. Als je jezelf over de soms eentonige gameplay heen zet dan is er voldoende aan verhaal om te ontdekken. Daarnaast zijn er heel veel onnatuurlijk wezens die vrienden met je willen worden. Wie wil nu niet kunnen zeggen vrienden te zijn met een knapperig stukje bacon?